I am loving the British crime shows. I don't know what's going on over in England but I hope they continue to crank these shows out. They've had Luther, The Fall, Crossing Lines and countless others that are top notch! Marcella is about a woman who's spent the last decade being a housewife. 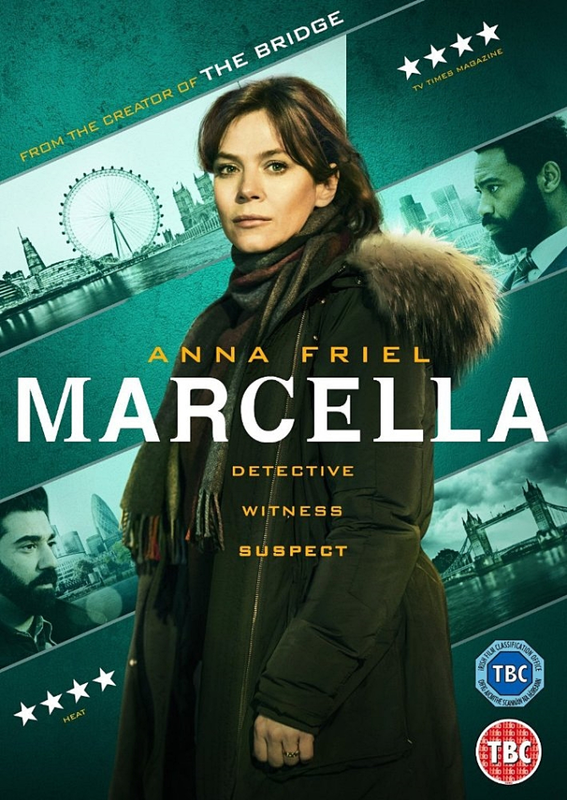 Before she devoted her life to being a mother, Marcella use to be a detective with the London police. Now with her personal life is in turmoil and the kids growing up and gone she goes back to doing what she knows how to do... finding killers. Hinterland is another show that takes place overseas in Wales. 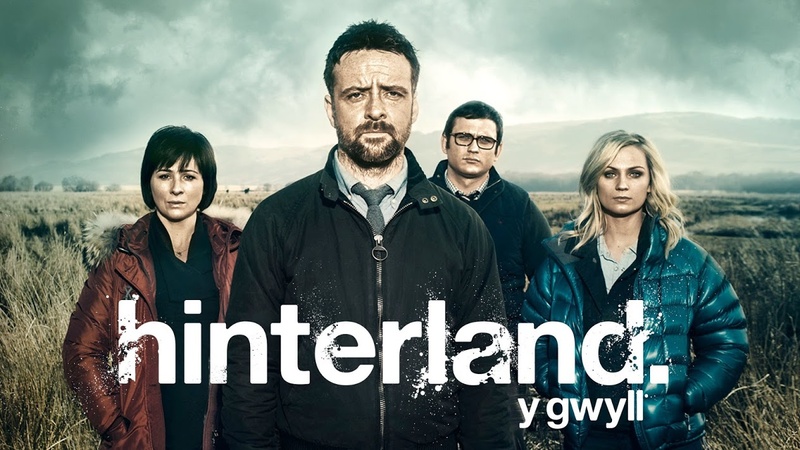 Hinterland follows Detective Tom Mathias who has recently just relocated from London to this far out of the way place in Wales known as Hinterland. 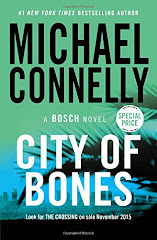 On his new team he is paired with Rhys, a strong female detective who quickly becomes his right hand woman. As each case unfolds we begin to learn more and more about Tom. We begin to learn more about his closely guarded personal life. One thing for sure, Rhys and the other detectives can't get the information out of Tom about why he's working and living in Wales now. Each case brings us a little bit closer to Tom while he's out there looking for murderers. We binged watched this show in a day and it's perfectly 80s. I love everything about it. I love the opening credits, the clothing, the music, the attitudes. It's the perfect television show and if you didn't know it you would think that it was actually made during the 1980s. Netflix just announced season two will be happening and I can't wait! My favorite characters from season one were Barbara and Dustin. 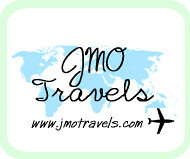 The show follows four young boys who come off a little nerdy to the rest of the world. When one of them goes missing on his ride home from hanging out the town and the boys begin to look for him. As things unfold, nothing appears quite like it should. The local police Chief Jim Hopper and the boys mother, Joyce begin to learn piece by piece that her son Will is out there and in serious danger. At the same time the three boys- Lucas, Dustin and Mike meet a young girl with a shaved head. She won't speak to them at first but they learn her name is Eleven and begin to call her El. They realize she's in some sort of trouble and hide her in Mike's basement. I don't want to give too much away but trust me... watch this show! If you see the preview and think that it's just some kid show, you are surely wrong! Longmire has been out for awhile now but I just recently discovered it. I had always thought it was about Lou Diamond Phillips because he's on the show square on Netflix but it turns out he's just a supporting character. I'm currently in season two and I'm loving it! 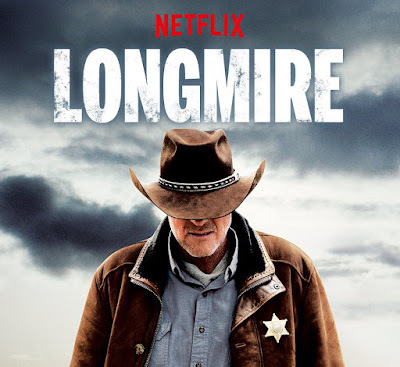 Walt Longmire is about Sherriff Longmire in Wyoming. He's a man who's been Sherriff for years but recently his home life has gotten in the way of his job. Losing his wife to cancer took a toll on him. His daughter, a lawyer has moved back to town to help look after him. What she doesn't realize is he's ready to get back to work. Longmire goes back to work but he's got competition for his job now with one of his Officers vying for Sherriff in the next election- Branch Connelly. The election splits the town down the middle and since there is a large Cheyenne Indian Reservation that will also be voting, he's got to mend some fences with them. This show is amazing. I love the scenery. It makes me want to visit Wyoming and see if that's really what it looks like. So what are you watching on Netflix? Got any good referrals for me? I DID WATCH Stranger Things! FINALLY I have done something that others are doing - hahaha! I never feel like I watch what others watch, ever! NICE! Thank you so much for sharing this list--I actually never know what to turn on when my bf and I want to have a binge and these sound like great suggestions. 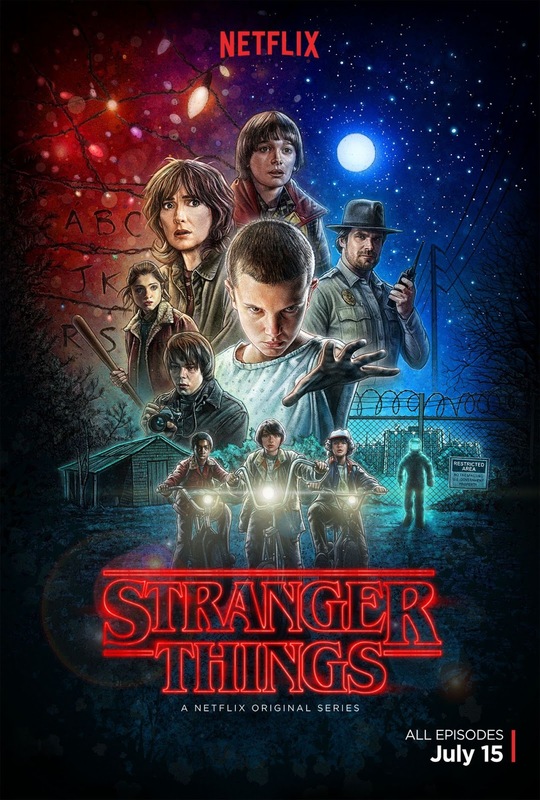 I friggin LOVED Stranger Things SO MUCH and can't wait for it to come back :) And yes, I loved the music and everything about the opener too! I've heard great things about a lot of these shows. Stranger Things is definitely next on my list! I haven't watched any of these but maybe I need to just bite the bullet and watch! Did you know that Robert Taylor from Longmire is an Aussie, woohoo, go Aussies!